Welcome back, NBA! The Celtics hope to get back to their winning ways in the second half of the season and look to move up a few spots in Eastern standings. This is a potential second-round playoff matchup as of now, and if it is anything like last year, then we are in for a treat tonight. Milwaukee has been playing at an out of this world level all season, with their best record this late in a year in over 30 years. 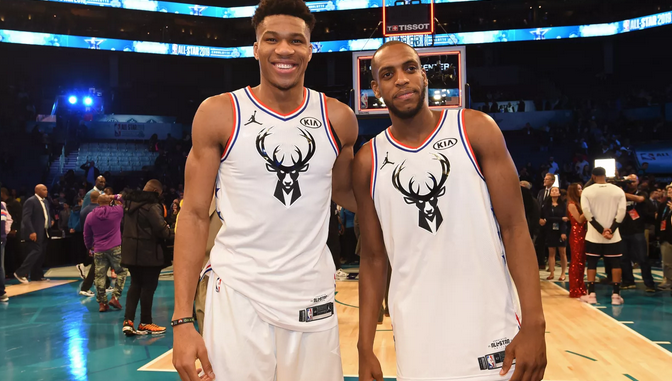 Giannis has been getting it done, and his supporting cast, which now includes All-Star Khris Middleton, has been helping out in a huge way. A huge key to their success for the rest of the season will be Kyrie Irving, who they hope will be able to lock in and play in the majority of the games. He has been playing the best ball of his regular season career this season as far as stats go, and the questions will be about his health, and if he wants to remain here. Well, if the team can keep the wins going, and the depth of this team is used as an advantage, rather than as a crutch, there will be a good chance that Kyrie is bleeding green well beyond this year. Boston remains without Aron Baynes, a guy that they won’t miss too much in this matchup, as Brook Lopez rarely tries to bang down low. Daniel Theis has done a more than admirable job as a fill-in big man during the season anyway. Marcus Morris and Marcus Smart will both play a big role for Boston tonight. Where can we begin when talking about the Bucks? They have been unstoppable on the offensive side of things with the #2 scoring offense in the NBA. They also rank as the #8 defense in the league, as it has been a dominant two-way team. The length of Giannis has been as helpful to the team on the defensive end, as much as he has on the offensive end, with all of his wild dunks over anybody who tries to stop him. Khris Middleton is having a career year, and it resulted in his first ever All-Star selection. Malcolm Brogdon and Eric Bledsoe have both been playing great basketball all year and knocking down their three balls at impressive rates. Brook Lopez has proven to be the big man that they never knew they truly needed. As long as Giannis is out there, the Bucks can truly beat any team in the association. Nikola Mirotic will be making his team debut, and that will help put Milwaukee over the top. Bet MIL -5, as this one will be close, but not to the point that Boston has a chance of covering their spread. Giannis will have a 30-point triple-double to help power the team to the W.